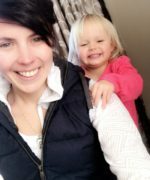 Hi I’m Levina, I’m a full-time mum of two beautiful girls aged 5 and 2, who love having other children to explore and have fun with. I have recently started as a Busy Bodies Educator and I am loving it! 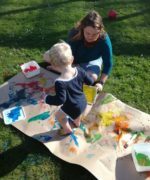 I am very passionate towards childrens needs in learning and development and I offer a warm and safe environment for us all to learn, develop, grow, explore, play and have fun in together. I look forward to meeting you and welcoming you into our little family.